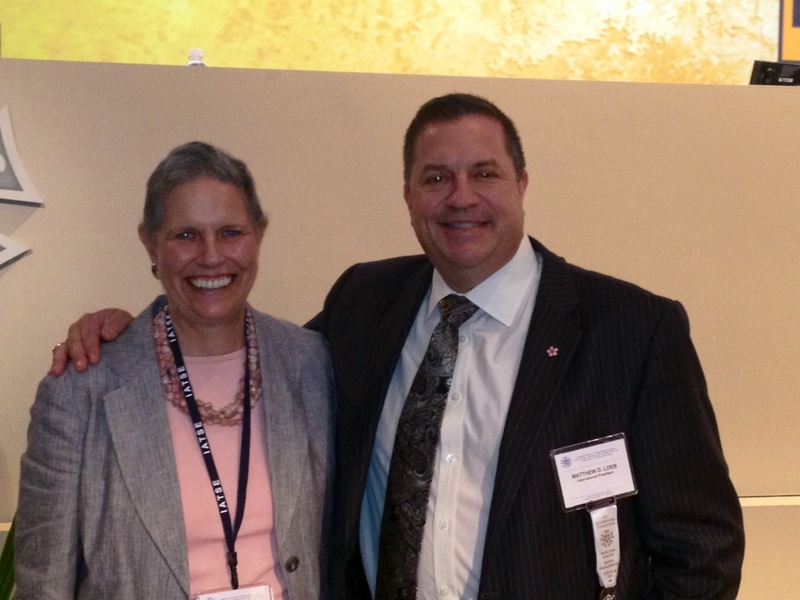 NLC President Paula Peinovich with IATSE President Matt Loeb. 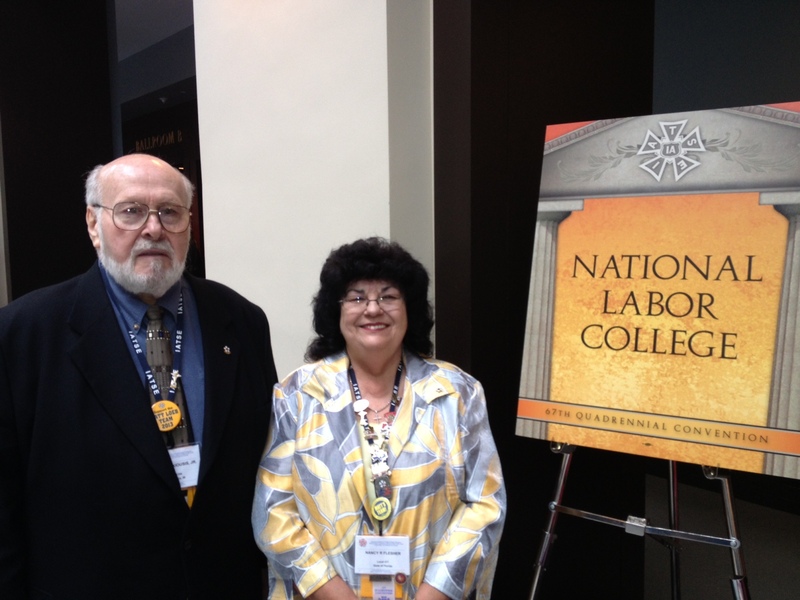 National Labor College President Paula Peinovich received a standing ovation at the International Alliance of Theatrical Stage Employees (IATSE) convention in Boston, Massachusetts last week. Peinovich talked to the delegates about the educational options NLC offers. Peinovich was invited to speak at the convention by IATSE president Matt Loeb, who is a champion of education. Since he was elected in 2008, Loeb has strongly supported providing educational opportunities for IATSE members. Loeb was elected to NLC’s Board of Trustees in June. NLC also hosted a booth at the convention and many delegates signed up to receive more information. They’re following in the footsteps of fellow members Dennis and Dorian Nicely, who plan to start classes in September. Several graduates also stopped by. Thomas Kiousis, Jr., 1980 Meany Center graduate and Nancy Flesher, 1998 Labor Studies graduate, enjoy sharing their NLC experiences. 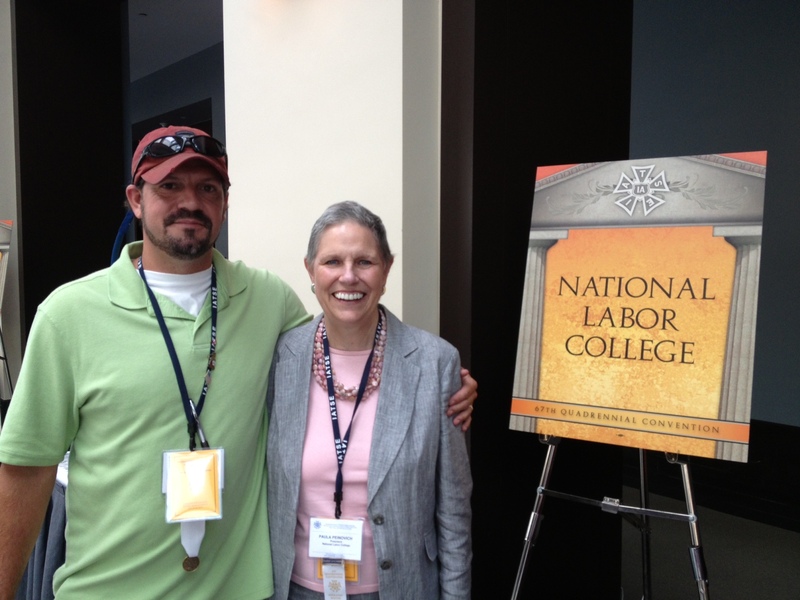 Incoming NLC student and IATSE member Dennis Nicely chats with NLC President Peinovich.